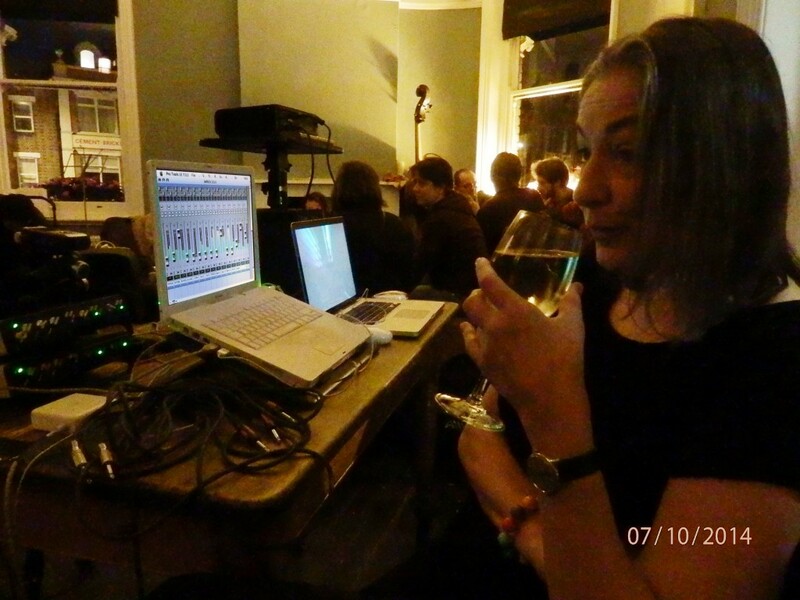 Played a 10min musical soundscape composition with diffusion system, accompanied by improvising musician Sue Lynch on clarinet & flute, as part of the Linear Obsessional event at St Allege Church in Greenwich. 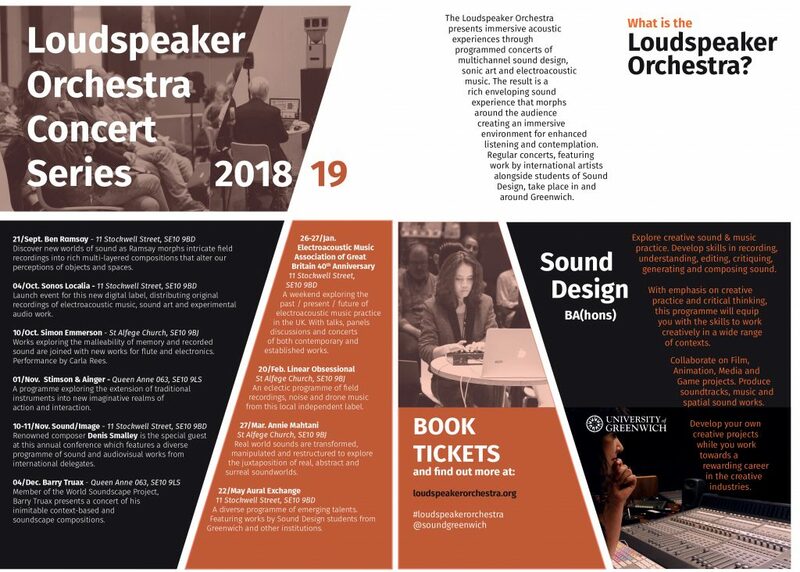 Organised by Andrew Hill of The University pf Greenwich. Savour the Day, is a 10 minute composition made for improvising musicians to play to. The whole afternoon sessions will be available on mix cloud soon. Screening of Night Drift and improvising to it with Sue Lynch on tenor saxophone and clarinet, and Richard Sanderson on melodeon at the IKLECTIK. 4 min detail 05.12.2017 from cellsonance on Vimeo. 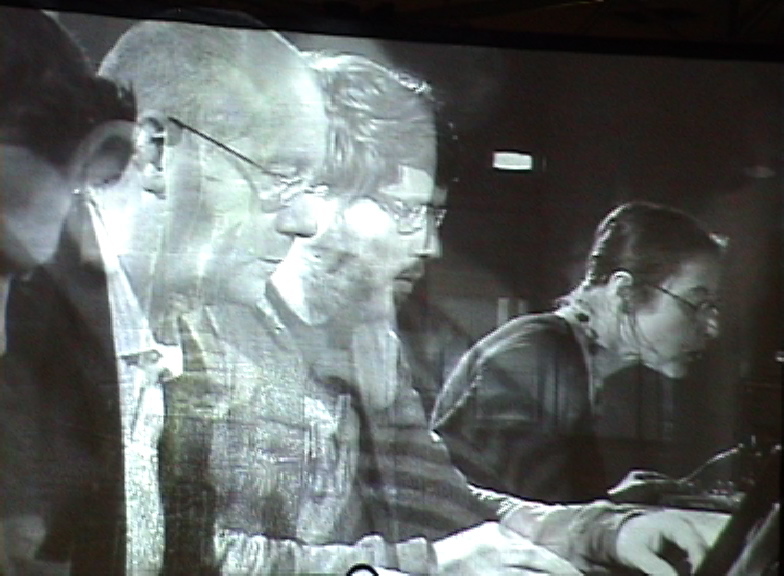 Live Improvisation performance at Hundred Years Gallery, Hoxton, October 2017. 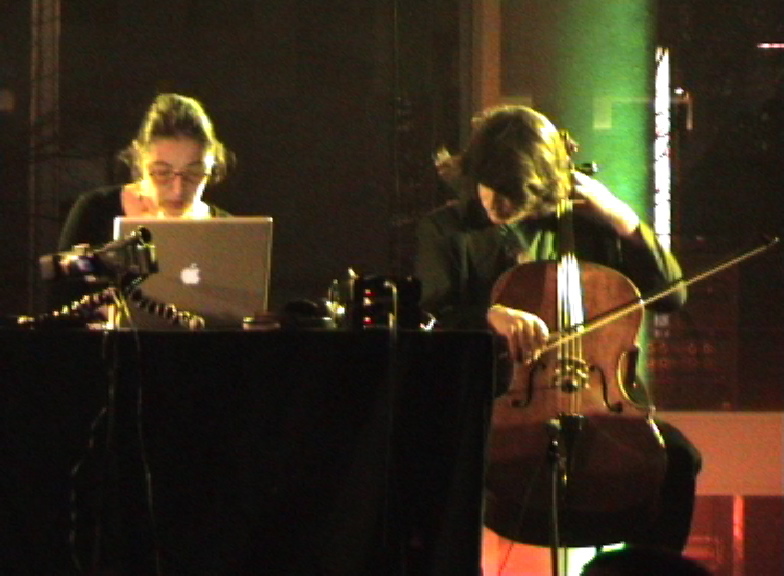 The piece called ‘Night Drift, explores how sound infiltrates our sleep and our dreams during the night. 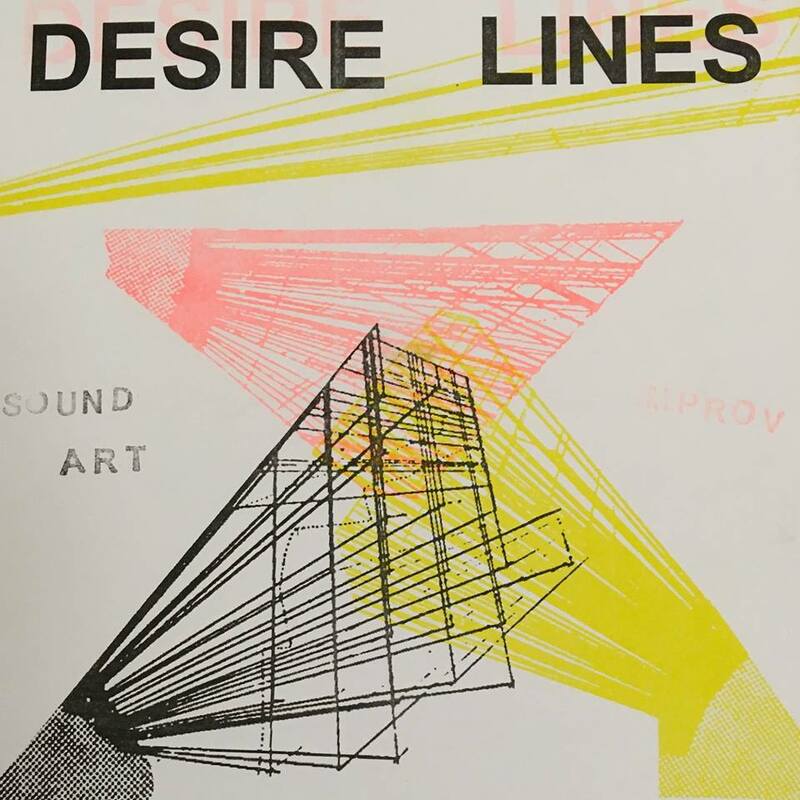 Based on how the body breathes deeply, then tosses and turns in relation to the sound outside, I bring field recordings and imagined sound, together with the tones and noises of the saxophone and clarinet, tracks by Sue Lynch, to create a composition. The filming, taken from a terrace facing a railway embankment, is created in a dreamy sliding line so as to mimic the freight trains gliding by. In the night one is suspended in a mind world, free from the body. Sounds enter the ears and images float out with the breath. Strangely, this intermittent interruption of the approaching colossal freight trains, with the sound of metal on metal, makes a musical and soothing contribution to sleep. The instrumental sounds bring in this human presence of the listener/sleeper. The Horse IMPROV Club at The Dog House, london. 3 short clips (fading to black) covering the 4 ‘Movements’ from the live sound performance. Original duration 11:27 with other sounds not included here. In the night one is suspended in a mind world, free from the body. Sounds enter the ears and images float out with the breath. Strangely, this intermittent interruption of the approaching and then gliding freight trains makes a huge musical and soothing contribution to sleep. The heaving mixes in with deep breathing, the clanking of the wheels on the track, metal on metal, highlights the dramas of a dream not remembered. 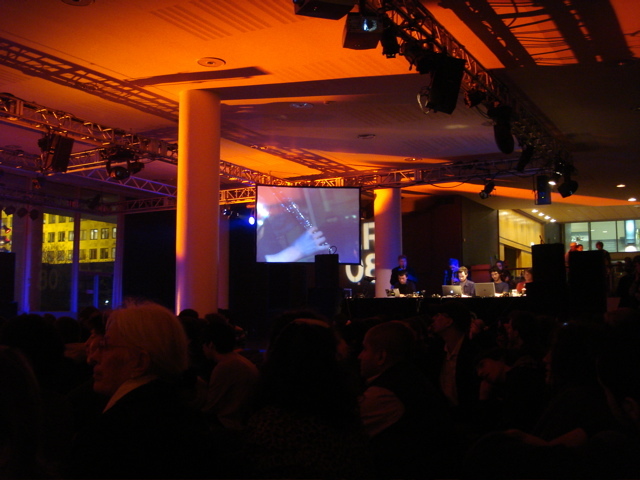 2008 Southbank Centre, Banqueting Hall, with David Toop’s Unknown Devices. 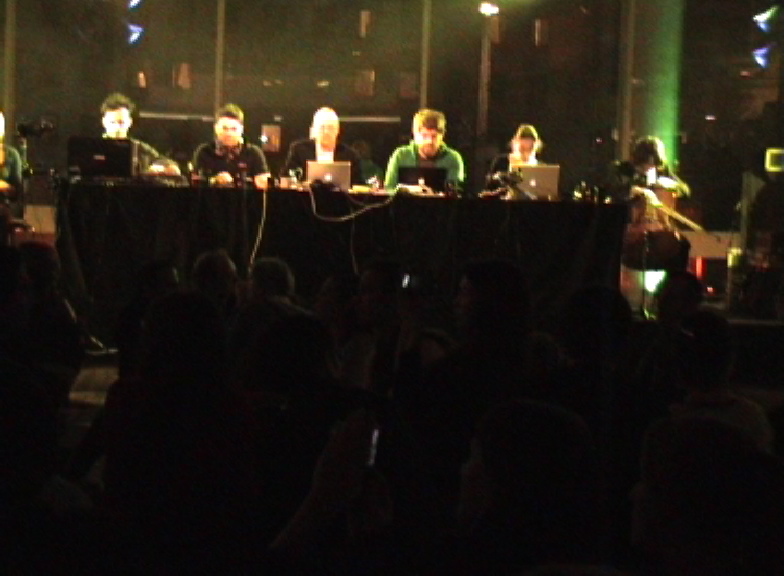 laptop orchestra.